A truffle gift voucher lets the recipient request our fresh Autumn truffles at a date of their choosing (subject to availability). 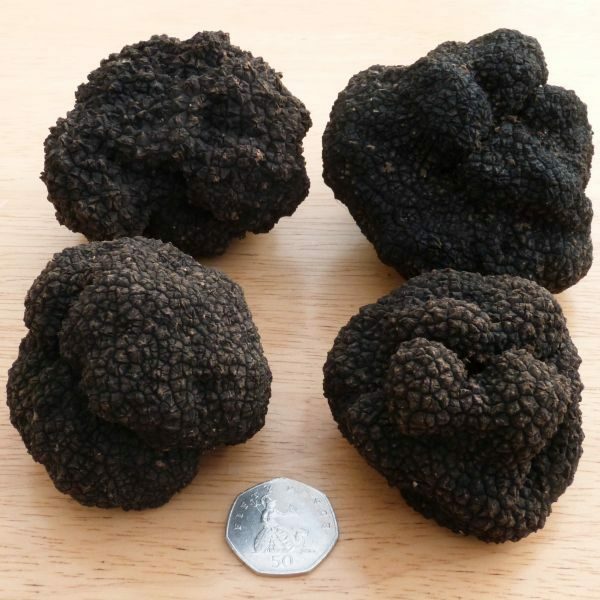 Choose the weight of truffles you would like the voucher for; we offer 30, 50, 70 or 100 grams. Prices include next day delivery of the truffles (Monday to Friday). You can add a message to be included on the voucher. Truffle gift vouchers are sent out immediately by email once we receive your order and payment, ideal if you are in a hurry! You can have them sent to yourself to print and give to the recipient. Alternatively, they can be sent directly to the recipient’s email inbox. 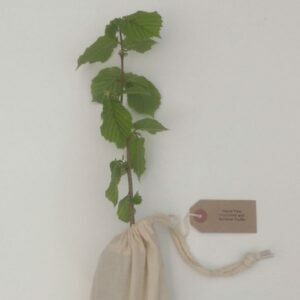 To order their truffle, the recipient visits our web site and uses the voucher code at the checkout in place of paying. We only send truffles to UK addresses. 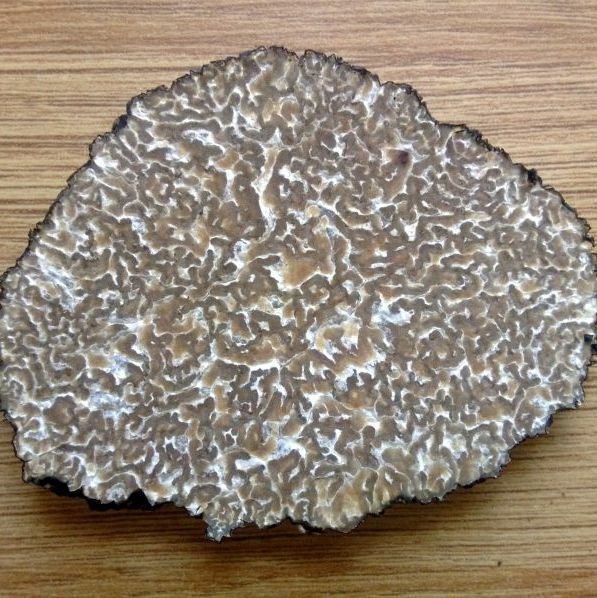 Our truffle season is approximately September to January, we cannot supply these truffles outside of that period. Truffle gift vouchers are valid for one year from the date of ordering and cannot be exchanged for cash. 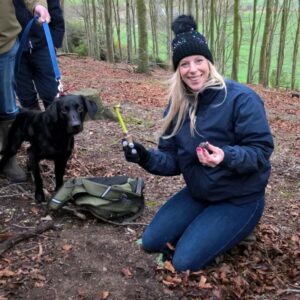 We also offer gift vouchers for truffle trees and truffle hunting experience days. Truffles arrived and they smell fantastic, thank you! Thank you for your very thorough response to my query, I must applaud you on your customer service and products. I’m also very grateful for the generous weight of the truffles you sent me, I only realised when making butter and calculating the percentages you recommended. Your truffles have arrived, and they are fabulous ! … Many thanks for such a high quality product. Thank you so much for sending the truffles to arrive on the day I requested, they look wonderful, I’m sure the recipient of the gift will be just as pleased as I am! Could you please let me know when you have truffles to sell? I was unfaithful to you and bought a black truffle in Borough Market and very poor it was. Serves me right! Just a quick note to say that the truffle is superb. I gave the smaller truffle to my folks – and my Mum who is not known for her liking of mushrooms was wowed by the nutty texture and exquisite taste. I’ve managed a small pasta dish, to keep eggs in the same box for amazing scrambled eggs this morning and finally just had a baked Vacherin for Christmas tea. I just can’t thank you enough. I wasn’t previously aware of English truffles and can’t imagine now going for any other! 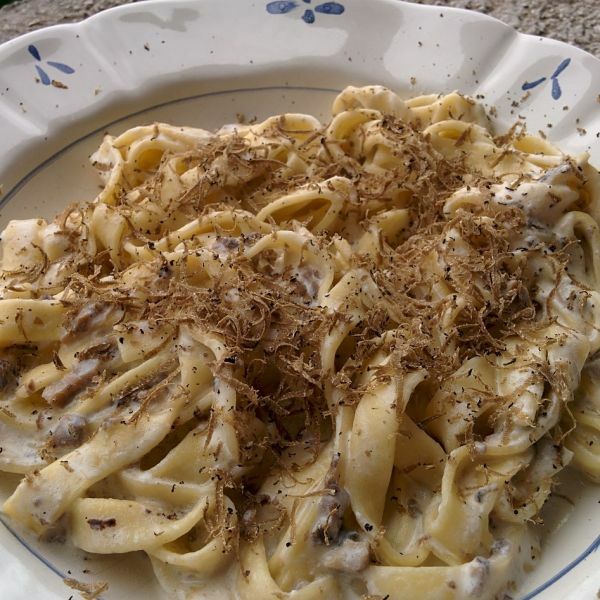 My brother-in-law had the truffle (a present) on scrambled egg for supper last night – and loved it! Just a quick note to say thank you for the truffles. I believe they were the most flavoursome we have ever had. Tried them with a large chicken and cognac – It was fab! Thank you for a wonderful truffle! Just a quick note to say that I loved your truffle will order again. Thank you for a delicious and nutty truffle. My guests really enjoyed it served with beetroot and aged steak! Thank you, just had a little shaving on some scallops they were out of this world, best I have ever had. Just received the truffles, wow what a smell, they are the strongest English Truffles I have ever smelled. Very pleased. Thanks for the truffles they were fantastic and appreciated by all. Can I order some more please? Truffles arrived – perfect, brilliant thanks! Are you out this weekend? Would like some more! Have truffled some ripe Brie and cooked up a Madeira reduction spaghettini for now. Will try more tomorrow! Great selection, thank you. Just had stroganoff with truffle and a very fine chicken liver parfait which was lifted to a new level with your finds. Many thanks for our wonderful truffles and a memorable gourmet food experience, we will be recommending you to our friends and family! The Dining Room at TerraVina uses foraged and fresh produce exclusively from Hampshire and Dorset. We were previously unaware of local truffles and were delighted to try Dorset truffles from The English Truffle Company. 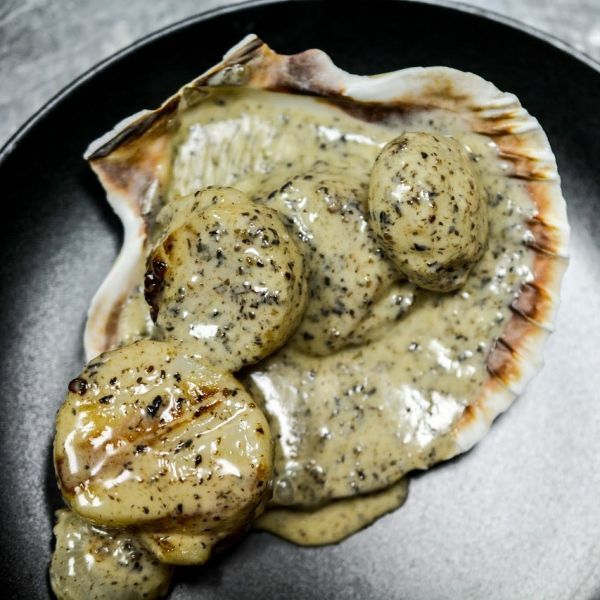 The quality is magnificent and in the season they make regular appearances on our fine dining menu to customer acclaim. I would recommended them to any restaurant or truffle fan. George Blogg, Executive Chef, Hotel TerraVina.